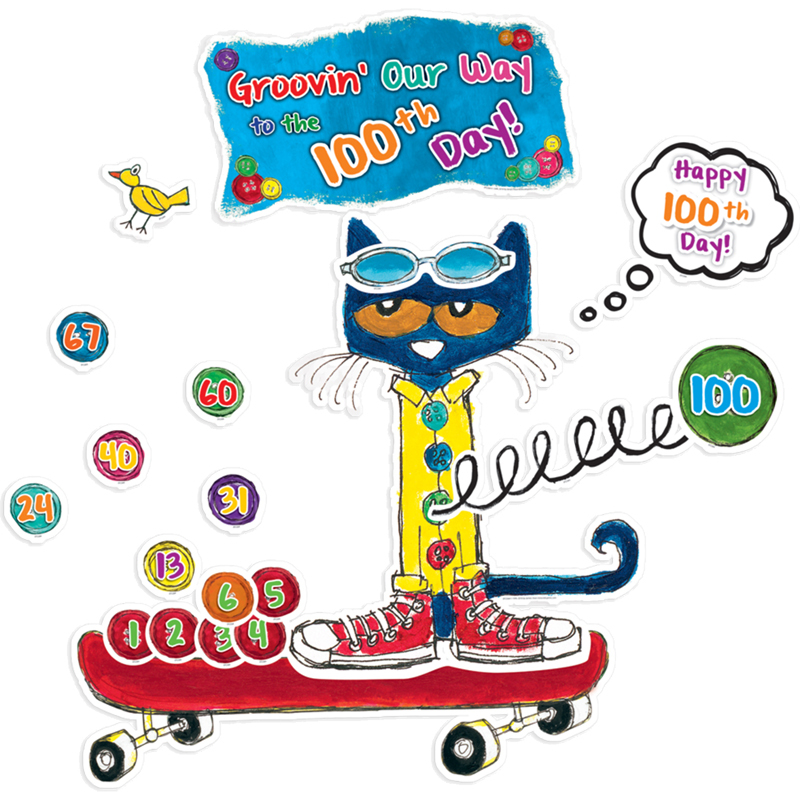 Celebrate 100 groovy days of school with Pete the Cat! Students will love watching the buttons stack up all the way to the 100th day. Buttons are also perfect for patterning and counting activities. 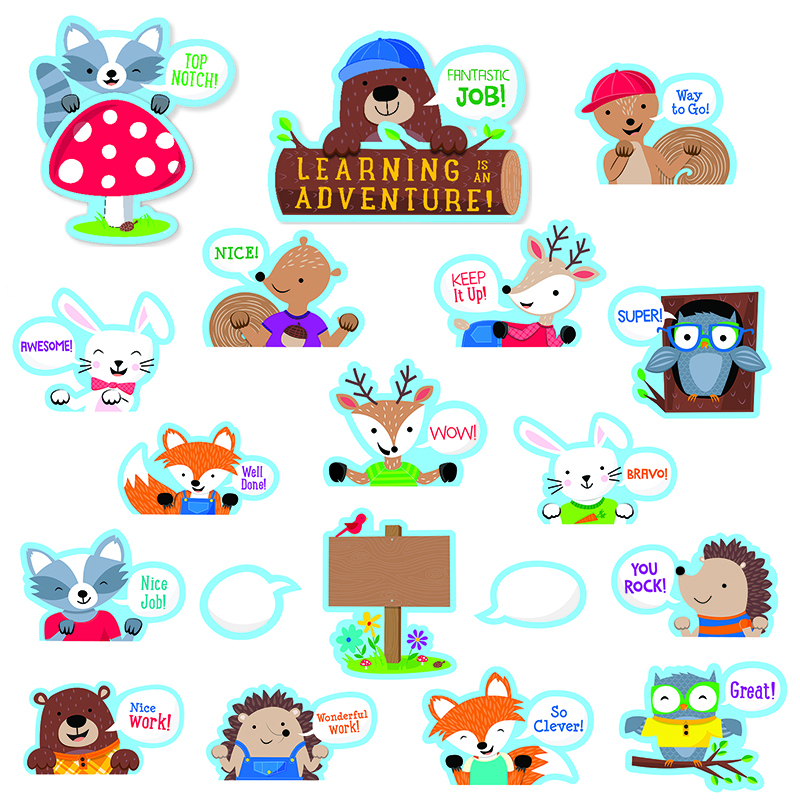 Includes 100 buttons, 100th Day thought bubble, large Pete the Cat, skateboard, and teacher guide with activities and reproducibles. 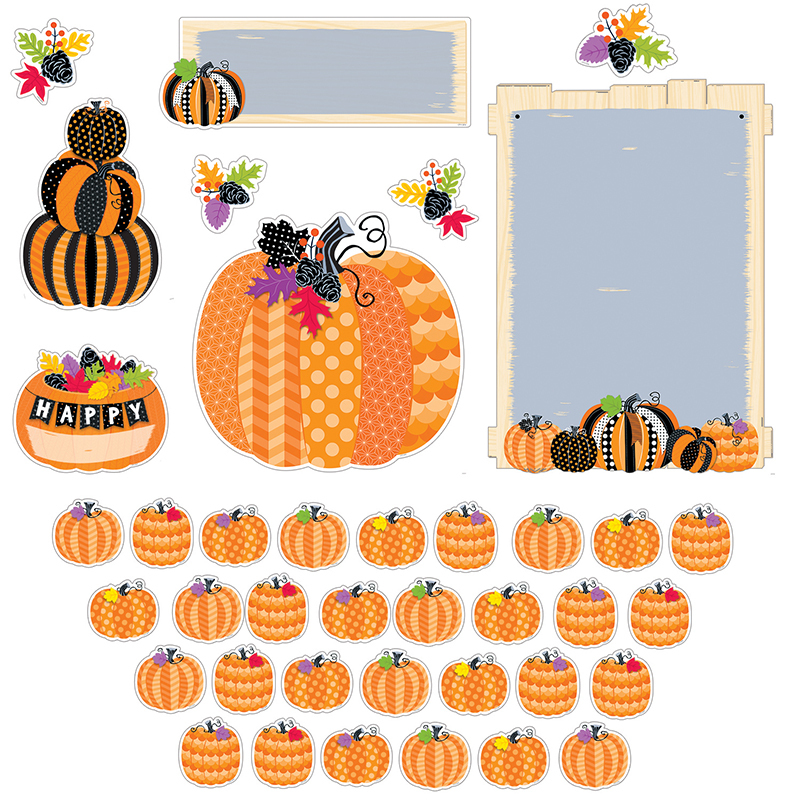 The 100 Groovy Days Of School Bbsfeaturing Pete The Cat can be found in our Classroom Theme product category within the Bulletin Board Sets. 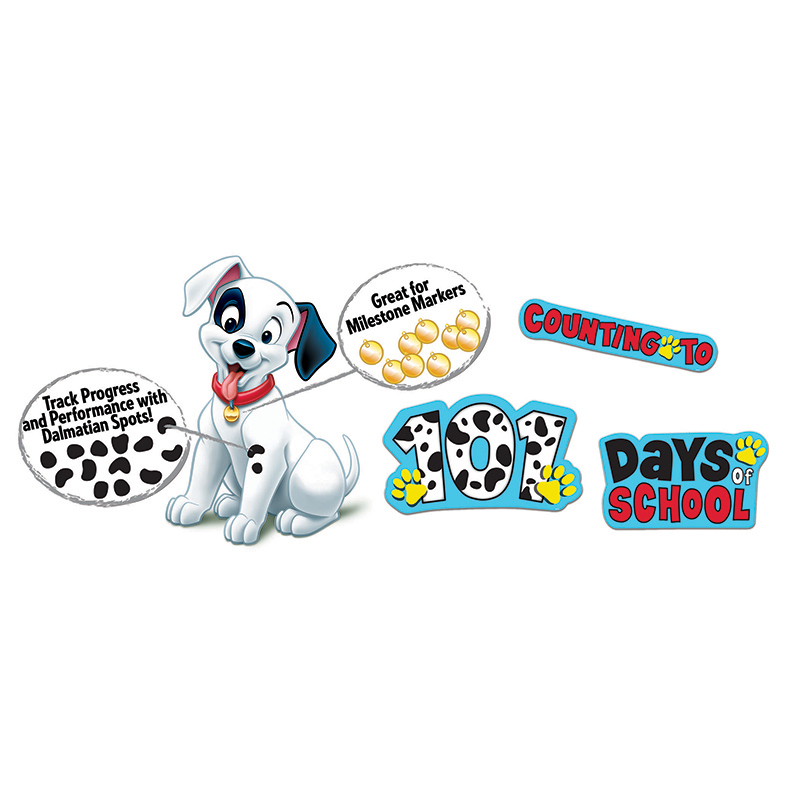 Get children excited about counting with this 4 panel set, includes: 1 large puppy (34" tall), 3 die cut signs, 120 black spots and 13 gold tags for marking milestones.